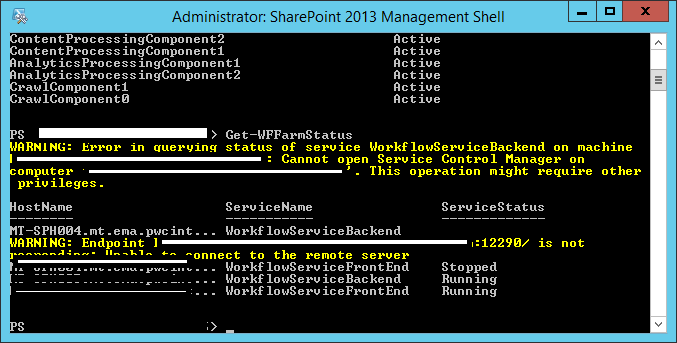 I have a sharepoint farm with 2 WFEs and a 2 SQL mirorred servers I have set up a workflow manager farm on the 2 WFEs to make sure all workflows keep running if one WFE is down, but when one WFE is down 2013 workflows do not run at all - what am I missing? How can I make the workflow manager keep running even if one of the servers is down? Your topology is wrong, Workflow manager support either 1 or 3 or 5 server farm. But you have to 2 server farm. You have to test it first before going to prod. I would follow try these steps. Now re-register the worklfow manager scope with SharePoint, before it will using the bad server url (https://badserver:12290/sharepoint),Now it will be newserver url. Configure single server WFM on good server using the restore method(you mentioned in ur reply). Not the answer you're looking for? 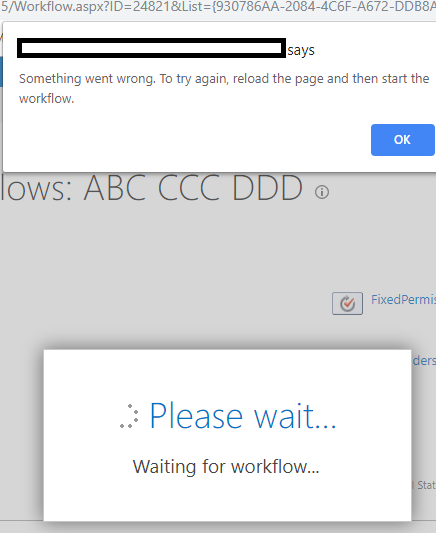 Browse other questions tagged sharepoint-server designer-workflow failover or ask your own question. How many server licenses do I need for SharePoint 2013?